Because my books nearly always have an adventurous element to them, they contain a lot of tension. You might write gentler books, without an adventurous element, but even so you will need some tension, suspense and drama along the way. There are many kinds of tension. Some is external, ie it is a result of something someone else does - perhaps the heroine is kidnapped, or perhaps she sees the hero with another woman and feels betrayed. Some is internal, ie it is a result of a character's feelings as they wrestle with themselves - perhaps the hero or heroine tries to overcome the hurt of a previous love affair. Here are some examples of different kinds of tension from my own books. Tension will often be generated by the plot. In a gentle romance, the hero and heroine might have an argument and the chapter might end with the heroine wondering if the hero will ever speak to her again. Or perhaps it might end with the heroine being determined never to speak to the hero again. Tensions will therefore be generated as the reader will wonder what will bring the two of them together. In a more adventurous story, tension might be generated by a dangerous situation with an unknown outcome. This example is from The Silverton Scandal. Eleanor is at a ball with Lucien and Mr Drayforth when she works out that Mr Drayforth is the murderer they are chasing. She arranges to meet Lucien in the conservatory, and there she tells him of her suspicions about Mr Drayforth. When she returns to the ballroom she is horrified to discover, through her friend Lydia, that Mr Drayforth preceded her into the conservatory, where he must have remained concealed. 'You mean Mr Drayforth was in the conservatory?' she asked in a whisper. Eleanor thought of all the greenery in the conservatory, where the citrus trees and the potted plants obscured carefully-placed seats and secret corners. If Mr Drayforth had been in the conservatory when she had entered it then he had heard everything she had said to Lucien. Eleanor's eyes went to Lucien. He and Frederick had walked across the room in search of a glass of champagne. 'I think if we could rejoin the gentlemen . . . ' said Eleanor. The two ladies set off across the room, but just as Eleanor thought they were going to be able to reach the gentlemen, strong hands seized her from behind and thrust her to the side. She tried to twist out of her abductor's hands, but she was held in a vice-like grip. Eleanor saw that such was the case. Lydia was turning round, looking bewildered, not far away. Eleanor saw a tall man dogging Lydia's footsteps. Before Eleanor could think of a way out of her predicament, much less act, she was pushed out of the drawing-room, along the landing and into a small anteroom. It was dark. Only the glow coming from the fire illuminated it. A figure detached itself from the shadows and in the flickering light of the flames Eleanor recognised Mr Drayforth. He lit the candles that stood on the mantelpiece and then turned to face her. 'So, Miss Grantham, it seems you recognised me at the coaching inn,' he said. 'A pity.' He took her chin between his fingers and turned her face to his. Eleanor, her arms held behind her back, wrenched her face away. He broke off as the door opened and Eleanor's spirits soared. There, framed in the doorway was Lucien. She was just about to make a bid for freedom, using his entrance as a distraction, when she suddenly froze. For behind Lucien was another man. And he was holding a pistol to Lucien's head. 'Drayforth.' There was a note of steel in Lucien's voice. He might be in an unenviable position at the moment, but Eleanor could tell from his tone of voice that he had not given up, and that he meant to change the situation as soon as an opportunity presented itself. The man behind Lucien gave a sneer and pushed him roughly into the room. 'What are we going to do with them?' he demanded. The man called Hoskins snorted. Hoskins nodded. Then raising his pistol, he brought it down with a crack! on Lucien's head. 'No!' Eleanor struggled to break free as Lucien crumpled to the floor, but strong hands held her and she could not go to him. And then she felt a blow to her own head, and everything went black. The plot. The hero and heroine are both in danger. The juxtaposition of strong but contrasting emotions. Just before this example begins, Eleanor and Lucien have been elated to discover who the murderer is. When the extract begins, this emotion is succeeded by caution as they know they are at a ball with a dangerous man. This generates suspense, which adds anxiety to the emotional mix. And then comes despair, as Eleanor learns that Mr Drayforth has followed her into the conservatory, and has therefore overheard her telling Lucien her suspicions. But the emotional changes don't stop there. She knows she has to warn Lucien, then experiences fear as she found herself in danger, hope as Lucien comes into the room in which she was being held captive, and then anguish as she sees him knocked unconscious. The layering of danger. First Eleanor realizes that she is in danger, then she realizes that her friend is in danger, then she realizes that Lucien has been caught and that he is in danger. This is three lots of danger, and it therefore generates three times as much tension. The layering of possible solutions to the danger: if Eleanor can reach Lucien and warn him, then together they might be able to work out a solution to the problem. This generates hope, which is then dashed, and the dashing of hope will always intensify tension. Eleanor's behaviour. When she learns that Mr Drayforth had followed her, she whispers her question to Lydia, and goes pale. These are strong reactions, and as long as you don't overuse them in a book, they will generate tension. The fact that the hero and heroine are outnumbered. This increases the danger. The fact that Mr Drayforth has a henchman to talk to. This prolongs the scene and therefore prolongs the tension. The fact that the scene ends at this point, which means that it ends on a tense note, with no resolution in sight. Most romances will have an element of sexual tension in them. The passages can be long or short, but they must convey the strength of feeling between the two characters. Notice how the sexual tension is heightened by the emotions, which can range from wary to angry to tender. In the first example, from Anything But A Gentleman, the tension comes from the fact that the heroine dislikes the hero, but is unwillingly attracted to him. Therefore she is fighting herself and her own feelings when she talks to him. He had shed his careless air like a sloughed skin, and the effect was electrifying. Marianne could not protest at his use of her name, she could not even remember that she ought to protest, because the atmosphere had become charged with a force so powerful it drove all normal considerations from her mind. Instead of railing against him she found herself fighting a flood of new and unwanted images that had invaded her mind: images of him kissing her hands before pulling her into his arms and kissing her passionately on the lips. She stood stock still for a moment, overcome by the highly charged atmosphere and her own ungovernable imagination. Where had such images come from? And how had they taken control of her? She shook her head angrily, driving the pictures away. 'I will decide who I talk to,' she said, quickly regaining control of herself and redirecting the anger she had built up against herself towards him. 'If I choose to speak to Mr Windham I will do so. Perhaps it is your custom to cut people you dislike, but it is not mine.Mr Windham is a guest at this ball and I would not dream of insulting him, or the Cosgroves either, by refusing to make a little polite conversation,' she finished. For one moment she nearly told him. So strong was his presence, and so unsettled was she by Mr Windham's pointed questions, that she longed to talk to him about it - though why she should think of talking to Lord Ravensford, when Mr Cosgrove was older and wiser, and an old family friend into the bargain, she did not know. But she was angry with Lord Ravensford for thinking he could order her life, and the moment passed. His eyes bored down into her. He was so close to her that she was made forcefully aware of everything about him: his angular cheekbones, golden eyes and exciting lips. Her own parted in unknowing invitation and she gazed up at him. She had never felt like this before. She had never lost control of herself. But now she seemed to be melting. The Miss Travis who ran her family's estate and who spent her life on her duties seemed to be liquefying, dropping away, until all that was left at the centre was Marianne. Marianne, who wanted to forget her duties and be free again; Marianne who, innocent though she was, knew there was a world beyond the one she had already experienced and wanted Lord Ravensford to take her there, leading her by the hand. No one had ever made her feel as he made her feel. Not once in her three London seasons had she met a man who made her pulses race, or even made them stir. But Lord Ravensford, newly arrived in the country, made her forget everything else - everything except the fact that she was a woman and he was a man. Notice the elements that generate the tension. Words like electrifying, flood of images, highly charged atmosphere, lips, arms, kissing, passionately, presence, body, eyes, cheekbones, pulses race, woman, man. These all accentuate the physical aspects of their encounter. The difference between what is happening and what Marianne imagines happening. The fact that her reactions are not her usual ones. The way she notices his face in detail. Her physical reactions to him - her lips part, her pulses race. The second example is from The Silverton Scandal. Here the hero and heroine are attracted to each other, and like each other. The tension comes from the fact that their feelings are only half formed, and are undeclared. Lucien has decided he must hide his feelings because he leads a dangerous life and therefore thinks he cannot take a wife. That being the case, he does not want to encourage Eleanor to fall in love with him. However, in this scene, Eleanor has just pulled him out of a room full of gas, thereby saving his life. When he comes to, he is vulnerable, and no longer able to hide his feelings for her. His words halted her. She turned round to see him standing in the candlelight, his dark hair falling in a lock across his forehead. His eyes were no longer steely, they were soft and warm. His cravat was awry and the top buttons of his shirt were undone, but his dishevelment only made her heart race even more. Without knowing what she was doing she took a step towards him. He reached out his hand, and pushed her hair back from her face. He ran his hand over her unruly locks, as they cascaded over her shoulders, and he stroked her cheek. Then bending his head he kissed her softly on her lips. It was as gentle as the brush of silk. She felt herself grow light headed with the ecstasy of it. She had never known a kiss could be like that. It took her breath away. At last he lifted his mouth from hers, but it had been so wonderful that she was filled with an insane urge to stand on tiptoe and kiss him all over again. Tension is generated in similar ways to the example above. The vocabulary. Words like hair, forehead, eyes, dishevelment, locks, cheek, hand, kissed, lips, gentle, brush of silk, ecstasy. There is a focus on the physical. Her physical reaction to him - her reactions to the kiss, she has an urge to stand on tiptoe and kiss him. He is breaking his own decision not to touch her - made clear earlier in the chapter. This kind of breaking down of barriers can be very powerful and create a memorable scene. Emotional tension can play a large part in a historical romance. In order for a scene to be emotionally tense, there must be a lot riding on it. The outcome must be vitally important. 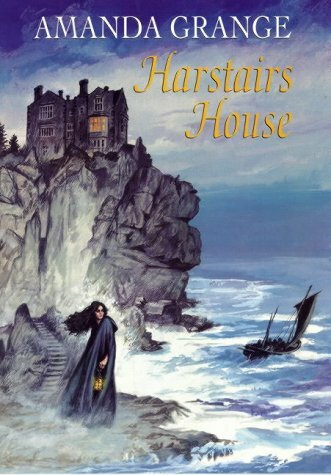 In this extract from Harstairs House, the heroine has learnt that the hero set out to win her affections because he overheard her saying she would never marry a man like him. She leaves without telling anyone where she is going. The hero, who set out to win her for all the wrong reasons, but fell in love with her along the way, finally manages to find her. He explains, but he doesn't know if she will forgive him. There is therefore a lot riding on this scene for both of them, as it will determine their future. He took a step towards her and she took a step back. He stopped. He said nothing more. He did not try and persuade her, and she knew he could have done. He could have reminded her of all the dangers they had shared. He could have taken her in his arms and driven all thoughts of everything else out of her mind. But he stood there, unmoving and vulnerable, isolated and waiting. He had tracked her down in London, found out where she was staying, tried to see her whilst she was under the protection of friends, then followed her to a ball when he could not see her in any other way. And as she stood there looking at him she knew he was everything she had ever wanted; and more, because the worlds he had shown her had been beyond her experience and even her imagination. And she could have him . . . if she took a leap of faith. The vocabulary: life depended on it, his voice broke, limbs trembling, haltingly. The contrast between what he does and what he could do. The body language: he takes a step forward, she takes a step back - even though we know she is longing to go to him. The fact that she is forcing herself to behave in one way, when she wants to behave in another. If you want to generate tension between your characters, try using some of these techniques. Intersperse your dialogue with physical information, either physical reactions to closeness/touching, or descriptions of what it is possible to see when close to a person - lips, eyes, pores of skin, hair. Provide emotional tension as well as physical tension - why can the hero and heroine not come together? Tell the reader. Give them an enclosed space in which to be alone - a conservatory, a tumbledown cottage, a folly. Putting them together in close proximity with no one else around will all help to intensify the mood. To make it more intense, have some reason why they cannot leave, so that they are trapped. Perhaps they are sheltering from a storm. Use short sentences. This can be very effective in generating tension. But remember, a few scenes as tense as this go a long way. If the whole book was like this, it would be very difficult to read.